No department within an organization has undergone such a profound change as that of IT. The platforms used to deliver IT products and services, the tools-of-the-trade and skillsets have changed. 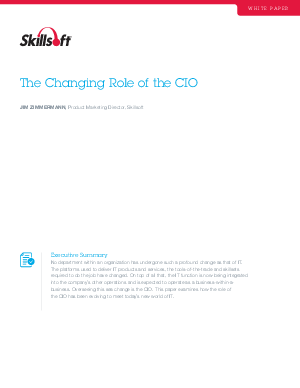 This paper examines how the role of the CIO has been evolving to meet today’s new world of IT.